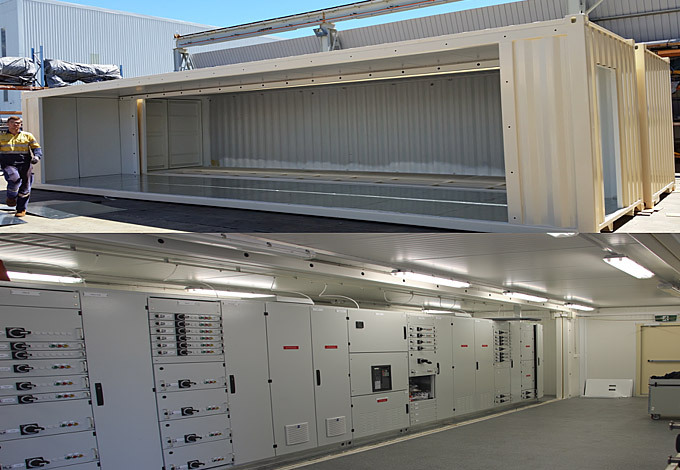 Design, structurally engineer, manufacture, supply and assembly of modular containerised electrical switchrooms fully lined and air conditioned. 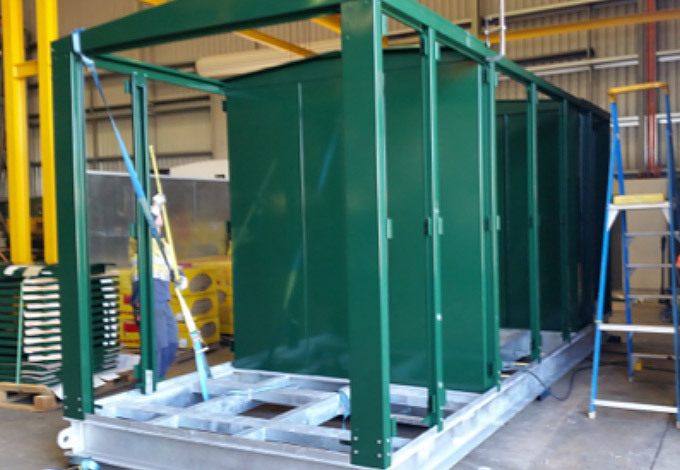 Switchrooms to be constructed from custom built ISO high cube containers. 40” for the HV switchroom and 20” for the LV MCC. 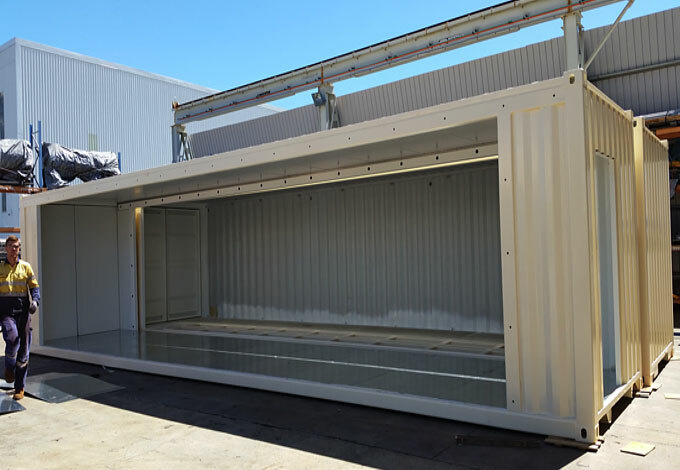 Engineered and certified structural design for custom built containers to meet specific deflection allowances of switchboards. HV switch boards – ± 1mm over 1m in all directions, ± 3mm over entire length. LV MCC – 5mm maximum over 3m. VESDA System (Very Early Smoke Detection System) installed within the switchroom. 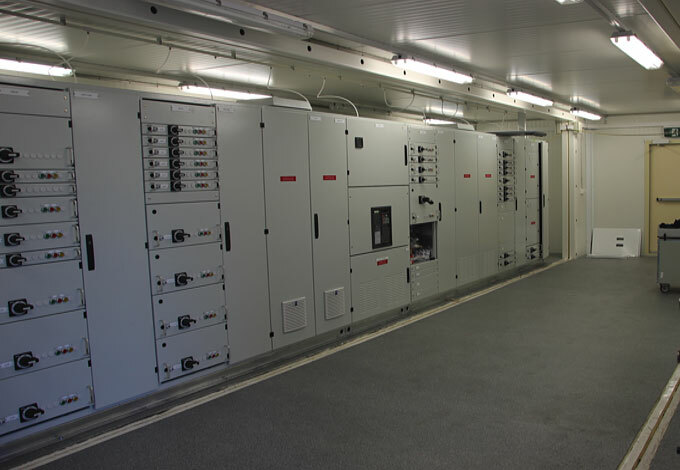 Switchroom designed for overseas modular transport and re-assembly onsite.